Funds raised by this year’s Ring of Beara Cycle will go towards helping 6 local charities. The number of charities receiving donations has risen in order to help as many benefit from the event as possible. The 4th annual Ring of Beara Cycle will take place on Saturday 26th of May when the people of Kenmare and the Beara Peninsula will welcome over 4000 cyclists from all over Ireland and around the globe for this highly popular event. All levels of fitness are catered for with the option of doing 110km or 140km around the spectacular Beara peninsula. Cyclists will get to embrace the unspoiled beauty of the Wild Atlantic Way and experience the magnificent scenery of the mountains, valleys and the rugged coastline of the Beara peninsula. 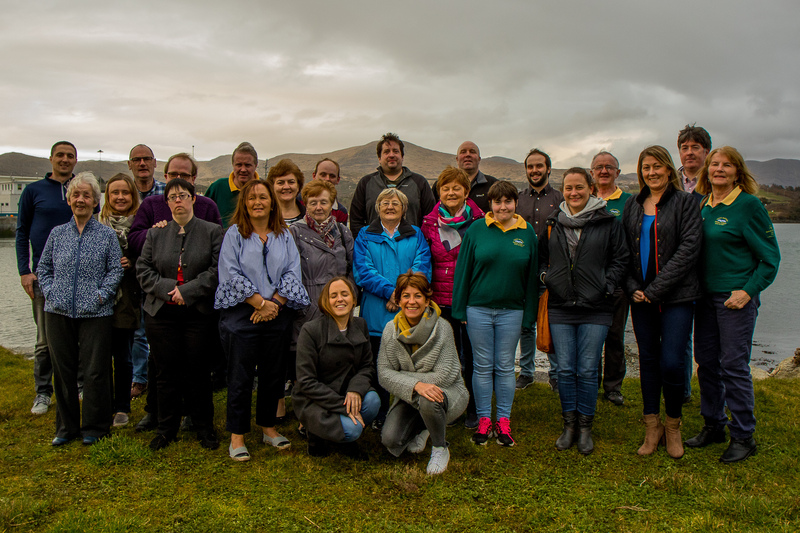 Castletownbere Community Hospital, Castletownbere Day Centre and Kenmare Family Resource centre will be the main beneficiaries of the money raised for charity by the event. 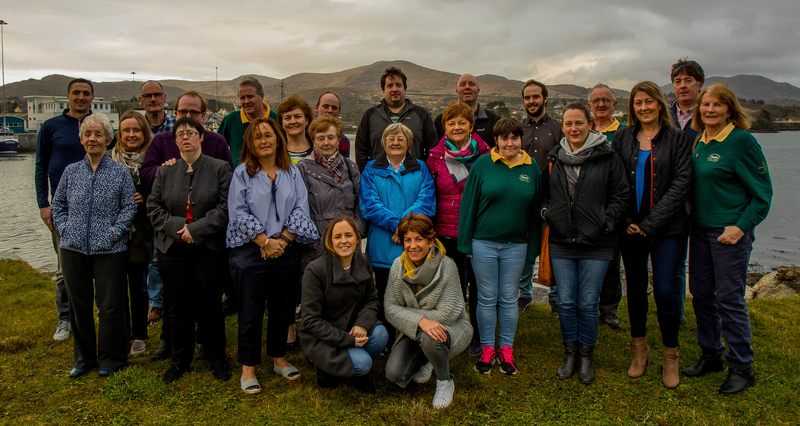 The other recipients receiving the balance of the funds are Kenmare Special Needs Group, St. John of God Services Kenmare and Kenmare Special Olympics. There are 2 start/finish locations in Kenmare and Castletownbere. Cyclists will pass through picturesque and quaint towns, including Ardgroom, Eyeries, Castletownbere, Adrigole and Glengarriff. Participants will enjoy some food and chat at the fully stocked food stations dotted along the routes. The event will finish with a great party atmosphere and superb facilities including hot food, hot tubs, massage, entertainment and finishers’ medal for all cyclists. Volunteers who would like to help out on the day can contact info@eliteevents.com. For more information contact Kelly Crichton kelly@eliteevents.ie 0646635512. Susan O’Shea (Kenmare Family Resource Centre) & Sarah Durkin (Kenmare Marketing & Events Group). Margaret O’Sullivan, Martina Moore, Orla Murphy, Jack Shanahan (St. John of God Services Kenmare), Catherina Sheehan, Helen O’Donovan (Castletownbere Community Hospital), Pascal Hurley, Dolores O’Sullivan, Phil Murphy (Castletownbere Day Care Centre), Fiona Riney (Kerry Fairways), Helen Dwyer (KMEG), Tara Hanley (ROB Organising Committee) & Ann-Kelly Murphy (Kerry Fairways).